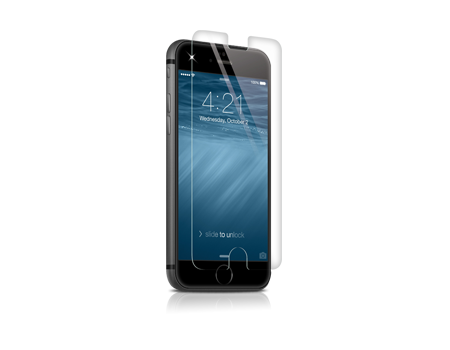 Made from a special chemically tempered glass for iPhone 6, ScreenGuardz Pure sets the standard in protection. ScreenGuardz Pure's performance is ensured by a smudge-resistant coating, coupled with high-touch sensitivity. Not only does it protect from scratches, but it also absorbs impact to keep your screen from cracking. ScreenGuardz Pure is an ultrathin layer of chemically tempered glass exceeding the hardness of steel. The clarity and touch sensitivity of this protector is unlike anything available on the market today. No matter what you're protecting, ScreenGuardz Pure is the clear choice.